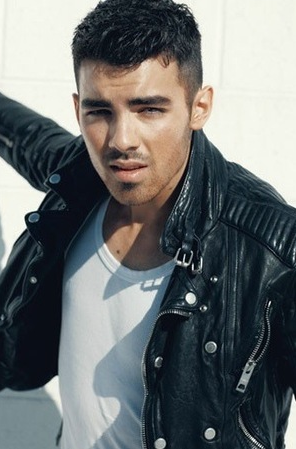 Joe Jonas admits taking advantage of Disney Groupies to satisfy his sexual urges. Joe Jonas is really baring all after his band's recent split. The former (at least musically) Jonas Brother has shed his boyband image and insists Disney - who turned him and siblings Nick and Kevin into global stars - tried to control even his life's smallest details. In a column for Vulture, Joe, who also claimed that Miley Cyrus and Demi Lovato made him smoke weed, told how the huge corporation forced him to stay clean-shaven so he would appear younger for his fan base. He said: "I had to shave every day because they wanted me to pretend like I was 16 when I was 20 (when the show was done, I cut my hair off and grew as much of a beard as I could). "We went along with it at the time, because we thought Disney was our only real shot, and we were terrified that it could all be taken away from us at any moment." While on-camera the musician and actor gave the impression of purity, he has now admitted to making the most of his fame and adoring fans. He revealed: "Yes, I’ve dated fans. I can’t say that I’ve never put a foot in that world; there were times when I definitely took advantage of the opportunities I had. "I remember I invited a fan to a movie, and we just made out the entire time. I don’t even remember what the movie was about. I must have been 16 or so. "Afterward, I was kind of freaking out, because I thought she’d go public and the whole world would find out. Luckily, she never did, I think because she assumed there’d be another meet-up down the road."